The Development Driller III, which is drilling the relief well, is seen at the site of the Deepwater Horizon oil spill May 11, 2010 off the coast of Louisiana in the Gulf of Mexico. Just a few months ago, offshore drilling was poised to play a greater role meeting in the nation’s energy needs. But the massive BP oil spill in the Gulf of Mexico has brought an abrupt reversal to that policy and ushered in more restrictions on new exploration, tighter controls of existing wells and higher costs for oil companies. Some have likened the spill to the 1979 partial meltdown of a nuclear reactor at Three Mile Island — a turning point in U.S. energy policy that would effectively cap expansion of nuclear power for decades. Just as Three Mile Island didn’t put an end to nuclear power production, the BP disaster won’t put a stop to deep water drilling in the Gulf. For at least the next decade, the need for oil is just too great. But the future of U.S. offshore drilling has suddenly become as murky as the oily Gulf waters fouled by BP's runaway wellhead a mile underwater. Even if the ongoing “topkill” effort to cap the leaking well is successful, the legacy of the disaster — and the final tally of the environmental and financial damage — won’t be known for years. For now, the spill has brought new offshore drilling to a virtual standstill. On Thursday, the Obama administration announced a six-month moratorium on deep water oil and gas drilling and ordered the shutdown of offshore exploratory wells already operating until they meet new safety requirements. Public outrage over BP’s inability to stop the runway well has created a political firestorm. Congress has held a blizzard of hearings on the cause of the accident and the implications for future drilling. Pictures of tarred beaches and oil-fouled pelicans in the Gulf Coast have intensified a decades-long debate weighing the need to expand domestic oil supplies against the risk of environmental damage. Supporters of expanded drilling argue the country can’t afford to stop looking for new domestic oil supplies. "If the delay is for a season to ensure we have the highest levels of protection in place, that's one thing," said Sen. Lisa Murkowski, R-Alaska, the ranking member the Senate’s Energy and Natural Resources Committee, on Thursday. “But if it means that existing permits are allowed to lapse … that's not acceptable to me or Alaska." The political battle lines over U.S. energy policy are complex. Over the past decade, multiple skirmishes have been fought between bipartisan alliances of energy-producing and energy-consuming states. The divisions are further complicated by the often conflicting goals of energy policy related to oil natural gas, coal, wind, solar, etc. The war over offshore drilling has been underway for over two decades since President George H.W. Bush signed an executive order in 1990, imposing a moratorium on new offshore drilling a year after the Exxon Valdez spilled 11 million barrels of oil in Alaska’s Prince William Sound. In 2008, with the U.S. increasingly dependent on foreign sources of oil, George W. Bush signed an executive order lifting the moratorium, part of a policy to encourage more drilling that included tax breaks for deepwater projects. But local opposition from state officials and Congressional delegations, together with a federal lawsuit seeking to block the expansion, effectively stalled the approval of new areas for drilling. In March, as part of a push for support in Congress for a broader climate and energy policy, the Obama administration offered up a new five-year plan that opened up new areas for possible development. Those included allowing exploration in two new areas in Alaska and the first sale of exploration leases in the Atlantic off the coast of Virginia. The move was just the first step in a lengthy review process required before any new drilling could began. Support for expanded offshore drilling was dealt a further setback last week by reports of widespread abuses at the government’s primary oil industry overseers, the Minerals Management service. The Obama administration has decried what it calls a “cozy relationship" between regulators and oil producers. Some MMS employees have been fired and other referred for prosecution as part of an effort to “clean house” at the agency move its functions to other departments. On Thursday, The White House announced that the head of the agency had resigned. The debate over expanding drilling is further clouded by the lack of hard data over just how much oil may lie under the seabed of U.S. coastal waters. When the 1990 moratorium stopped new exploration, it also put a halt to the collection of seismic data that would help petroleum geologist determine how much oil may be available. Since then, the technology available to seismologists has made enormous strides, allowing them to assemble 3-D maps of oil formations miles underground. Much of the Outer Continental Shelf targeted for expanded drilling is largely terra incognita. One thing is all but certain: the catastrophe will bring tighter regulation of the oil industry and new operational procedures, including more detailed plans to cope with blowouts and other spill disasters. Rig inspections will be more frequent. Permits will be subject to more thorough review. That will likely create a longer timeline for future exploration projects. With deep water operating costs approaching $1 million a day to operate, the new procedures will also raise the cost of finding and producing more oil. The industry faces other higher costs, including a proposed an increase in the per barrel tax that would go to boost reserves of a federal oil spill cleanup fund. Insurance premiums for rig operators are also expected to rise. 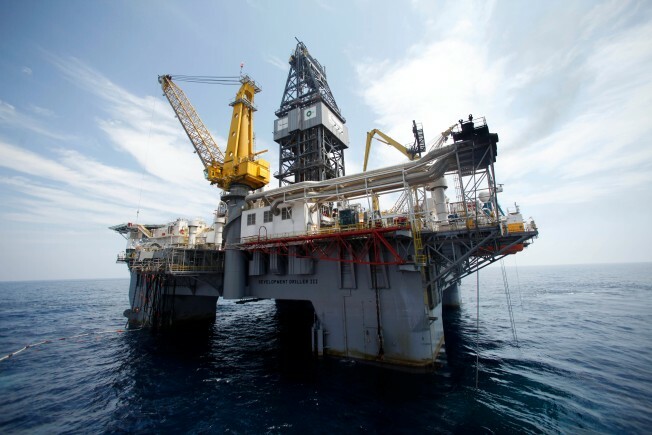 Higher costs and tighter regulations may deter some smaller players from the high stakes game of deep-water drilling. Major oil producers, though, aren’t likely to retreat - for the simple reason deep sea exploration it represents the best prospects for producing oil in sufficient quantities to fuel a fossil-based economy. Those costs could be dwarfed by ultimate cost of paying for the cleanup and damage claims related to BP spill. Dozens of claims have already been filed by fishermen and property owners along the Gulf and dozens more are expected. Those damages could escalate if Gulf currents carry continues to carry oil slick toward the heavily-developed Florida coast and its multi-billion tourist industry. Until the well is capped, it’s impossible to estimate the full environmental impact or total cost. The open-ended cost estimate has also questions about BP’s ability to sustain what is expected to be a multi-billion-dollar hit. But the company should have little trouble picking up the tab. Last year, BP generated operating profits of $13.78 billion; its cash flow from operations was $27.7 billion. In its latest financial filings, the company reported more than $12 billion cash on its balance sheet. No one doubts that drilling at sea depths that would crush a submarine presents huge costs, risks and technical hurdles. At every disappointing turn, BP has been quick to note that the spill is occurring at unprecedented depths and pressure in the murky waters of an ocean canyon 5,000 feet below the sea surface. But deep water exploration offers the greatest potential to continue to meet the growing global demands for oil. Most of the world’s onshore oil has already been tapped; many of the vast onshore “super major” fields that have fueled the carbon economy for a century are in decline Deep water discoveries in the Gulf have been matched with promising finds offshore Brazil and West Africa. As a result, global offshore oil output has tripled over the past decade — and it is forecast to double in the next five years. That has only raised the stakes of continuing to rely on oil as an energy source.